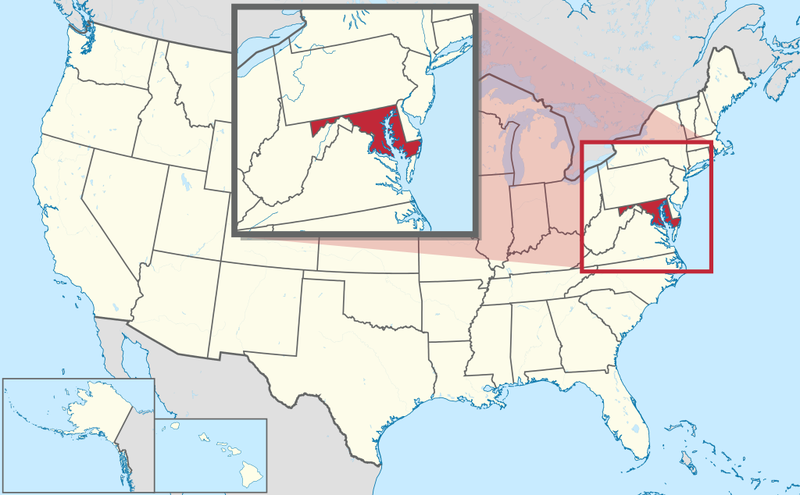 Maryland is a state located in the Mid-Atlantic region of the United States. It is the 19th most populous state, with a population of approximately 6,016,447 people. The Capital of Maryland is Annapolis, and the state is divided among 23 counties spanning 12,407 square miles. Maryland was the 7th state to join union in April 28, 1788. Maryland Department of Transportation’s recent Annual Report revealed there were 107,789 crashes in 2015 alone. Of those crashes, 30,655 resulted in injuries. Impaired driving was the main factor in 162 fatalities. 71 fatalities had resulted from uncontrolled speeding. 76,654 of vehicle accidents had sustained only property damage. Between 2014 and 2015, vehicle fatalities had increased by 15.10 percent. Based on the data collated by the Insurance Institute for Highway Safety in 2016, the total number of people killed in 2016 were identified as follows: 57 percent of them were vehicle occupants, 21 percent were pedestrians, 14 percent were motorcyclists, and three percent were bicyclists. The remaining five percent were unknown. According to the Neighborhood Scout, Maryland’s motor vehicle theft rate in 2016 was 1.97 thefts for every 1,000 inhabitants. A total of 11,834 incidents of vehicle theft were reported in the same year. Why should I run a Maryland VIN Check?